Jose R Galindo, full middle name unknown, died in 1926, aged 53, which places his birth probably in 1873. 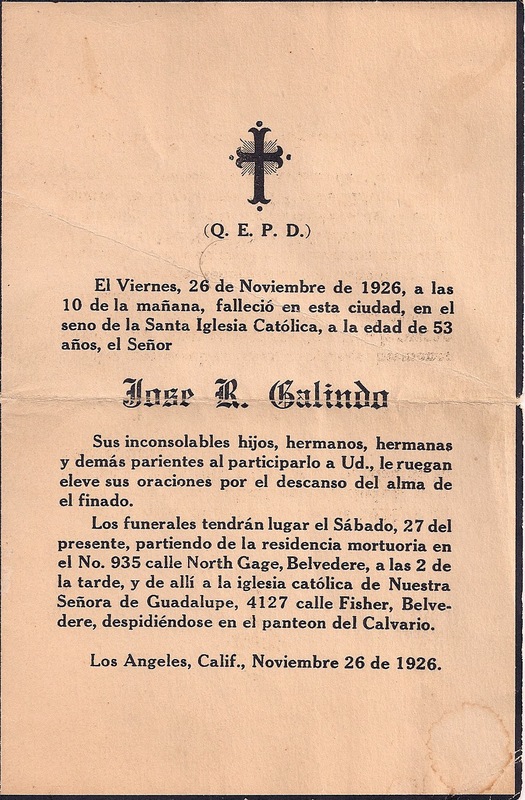 Buried in Calvary cemetary in Los Angeles, and the funeral was held at Our Lady of Guadalupe. I looked up the church and it has since moved from its 1926 location on Fisher St.